Browse today's newest Elboya homes for sale in Calgary! 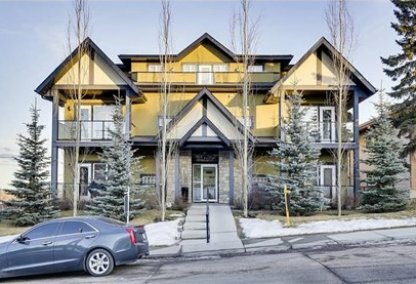 The community of Elboya, located in City Centre Calgary, Alberta, is a premier neighborhood in the city. Discover the hottest Elboya real estate for sale now! Schedule a guided home or condo tour with your Elboya Calgary real estate agents today. Elboya housing market statistics: As of April 25, 2019 there are currently 15 properties for sale in Elboya listed as active, with an average asking price of $1,439,060. The highest-priced property is $3,999,999; the lowest priced property can be purchased for $679,900. Elboya neighbourhood listings have an average price of $544 per square foot, based on listings with 3.5 bedrooms, 3.6 baths, and 2,500 square feet of living space. 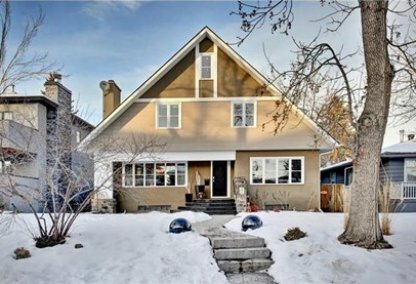 Looking to sell or buy a home in Elboya Calgary? Call Justin Havre at RE/MAX First - 403.217.0003, your neighbourhood Calgary real estate team. We are Elboya real estate agents and experts on the Elboya housing market in Calgary. This illustrious standing has been confirmed by the monthly city lifestyle magazine Avenue. In the inaugural survey that the publication ran in 2010 on the best living places in Calgary, the magazine’s readers ranked Elboya as the No. 1 among the top fifteen choices. The criteria for the survey included pedestrian-friendliness, safety, curb appeal, and parks and recreation. It’s easy to understand why this community of less than 2,000 residents emerged at the top on Avenue’s listing. Elboya, established as a Calgary neighborhood in 1947, has a unique topography with the pristine Elbow River and Stanley Park to its north. The community offers refreshing vistas of Elbow Valley as well as inspiring views of the Calgary downtown skyline. The ambience of the Sherwood Forest is lent to Elboya by century-old trees that line the neighborhood’s streets. Nestled in this pastoral environment are million-dollar executive homes and sprawling hillside bungalows. There are condominiums and apartments too in Elboya. These account for some 37 percent of the residential properties in the neighborhood. Close to 40 percent of the community’s housing are for rentals. Amenities and services abound in the immediate vicinity of the Elboya neighbourhood. The nearby Elbow and Bow Rivers, for instance, boast a network of parks and pathways offering a wide array of recreational opportunities. The Macleod Trail, moreover, is at the southern border of the Elboya community. A myriad of business and commercial properties can be accessed in either direction of this road. Notably, the Calgary downtown and its various lifestyle offerings will only take a four-kilometer drive or bicycle ride for Elboya residents. Advantageous for home-owning families with schooling kids, two schools are already within the community: Elboya Elementary and Elboya Junior High. Well within walking distance too is Western Canada Senior High, Elboya’s designated high school. Planning to buy or sell a home in Elboya Calgary? Let our real estate team guide you in your search for the perfect home and professionally facilitate the sale of your existing home. As Elboya neighbourhood real estate agents, we know how to navigate the Elboya real estate market. Let's get your home sold quickly and at the highest price! Contact Justin Havre at RE/MAX First - 403.217.0003 to find out more about buyer or seller representation. Thinking of selling your Elboya home? Check out our free property evaluation tool, where you can easily view Calgary Homes Values online in moments! Listing information last updated on April 25th, 2019 at 10:15am MDT.